Disney World might be one of the happiest and most magical places on Earth, but it’s also one of the most expensive. From transportation to hotels and lodging, from restaurants to admission tickets, it truly can break the bank. Each and every year, even during the recession of just a few years ago, ticket prices have gone up. And, not just at the Walt Disney World Resort, but at most of the central Florida theme parks. For the average family of four, a trip down to Orlando to see Mickey might not be in the cards any longer. And that’s an absolute shame. 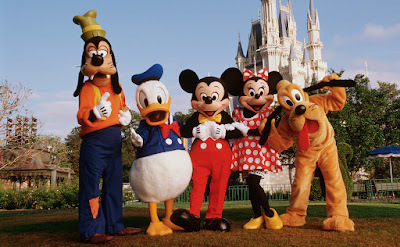 Each year, however, Disney World ranks at the top of the list as the most popular theme park destination in the World. For everyone that read this OrlandoTastic post, last year Disney World's theme parks all ranked in the top 8 on the list of the 25 most visited theme parks in the world; (1st) Magic Kingdom, (6th) Epcot, (7th) Disney's Animal Kingdom, (8th) Disney's Hollywood Studios. If you’re going to be flying to Orlando, I would suggest using an aggregate site like Kayak. They provide pricing for a lot of the airlines, and have a predictability feature that offers advice on whether it’s a good time to buy your tickets now before prices are likely to go up, or to wait a bit for the prices to come down. If your local airport is a hub for a particular airline not featured on Kayak, then you should also search for flights directly on that airline's web site. A lot of the time, it makes sense to drive your own car to Orlando, rather than fly. If you’re traveling with more than 2 people, then it almost always makes sense to drive. 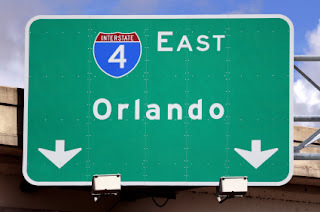 Even though gas is expensive, there are all sorts of costs involved with flying, such as transportation to and from each airport, long-term parking at your origin, paying for food while traveling, and, perhaps, renting a car once you get to Orlando. Orlando isn’t a walking city by any means, and there is not a city transit system to take advantage of. Unless you’re staying at a Disney property, then you’re going to have to ensure your place of lodging provides transportation to the different parks (with a decent schedule). If you take your own car, you avoid these costs, you can pack up your car with everything you’re going to need on your vacation, including all sorts of snacks for the trip that wouldn’t make it past airport security. And, with meals, you don't have to be limited on where you eat. Orlando has a TON of restaurants, as you'll see below. When it comes to lodging, this is where Orlando offers the most options and flexibility. Orlando is the 2nd most popular travel destination in the World (only behind Mecca). People travel to the city for the theme parks, for the restaurants, for the sunshine, for the shopping, and for business. The city has some of the biggest and most popular convention centers in the World. So, where does everyone stay, and where do they go? Using TripAdvisor.com, let’s take a quick look at Orlando by the numbers. When deciding where you want to stay, the first question to ask yourself is whether or not you want to stay on the Disney World property. There are 31 resorts at Disney World, and they offer experiences for whatever type of group you might be vacationing with. You could get a villa at Fort Wilderness with the kids, and have a giraffe in your backyard, or be pampered with your significant other at the Grand Floridian Resort and Spa (full list of Disney World resorts here). Some of the perks of staying on a Disney property are that they offer free pickup from the airport, free transportation to and from all the Disney parks, and sometimes early admission into the parks (before the general public). The problem is, these resorts are often on the pricier side. Staying in Orlando off-site of a Disney property is what most people choose to do. 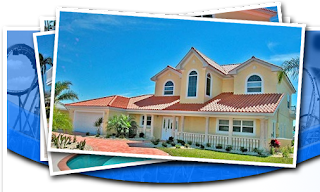 Vacationers have the option of staying at a hotel (you can find both kid friendly or adult properties), at one of the incredible supply of vacation rentals (everything from 1 bedroom condos to 6 bedroom houses with a pool), or there are even campgrounds. For many people, vacation rentals are the way to go. After a long day in the park, it’s often nice to be able to retreat back to a place that you’re able to make home for a few days. Orlando Hotels – The best sites to check out hotels, compare hotels, and view pricing are Hotels.com and TripAdvisor.com. When it comes time to try and negotiate a better price, I have 2 options for you. First, it always makes sense to call the property and ask them if they have any specials or promotions going on. Be frank with them on the phone, and tell them you are looking for a deal. If they aren’t able to offer you anything, ask them if they can give you advice and point you in the right direction. Second, Priceline.com is a great tool for locking in a bargain price. Figure out where you want to make an offer, and LOW BALL them. Even if they don’t accept your offer, they will usually respond with a competitive rate. I suggest making offers for 1/3 of what you might see online. Remember, there are 329 hotels in this City. Unless you’re traveling during Christmas or school vacation week, these properties have a lot of competition. Take advantage of that! 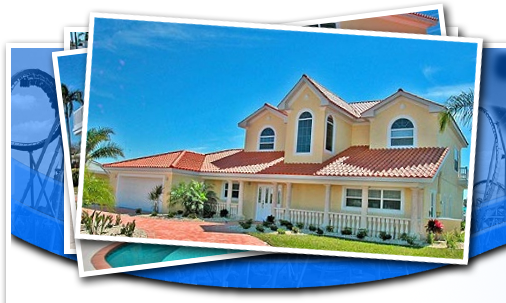 Orlando Vacation Rentals – Vacation rentals are another great lodging option, especially for families. They generally offer more space, but provide that nice sense of “home”. It’s likely that your days are going to be filled with theme parks, theme parks, and more theme parks, so it’s nice to have something "homey" to come back to in the evenings. I again suggest using TripAdvisor.com to explore the many options. But, I also suggest the site VRBO, which stands for Vacation Rentals By Owner. The owners of these condos and houses have paid money to be featured on this site, and, again, they are competing with everyone else. Users can contact the owners directly to ask questions about the properties, and, most importantly, negotiate a better price. One of the great features on the site are the reviews. If you find a place where vacationers are saying that they come back year after year, then you can be assured it’s something special. Don’t EVER buy used tickets. Disney World does not allow people to use days on a ticket, and then sell it to someone else. How do they prevent it? They actually use a finger print scanning system, where they’ll electronically record your fingerprint when a ticket is first used, and then look to match it each subsequent visit. Don’t buy your tickets on eBay, Craigslist, or any other consumer driven website. Although there is the possibility of receiving legitimate tickets, the risk is too great. Don’t buy a ticket that offers more than you’re going to use. For example, if you’re going to be spending 4 days at Disney World, and plan on going to each park for 1 full day, which is ideal, then do not waste your money by adding the Park Hopper option. Don’t purchase tickets if they have any association with a time-share opportunity (unless you’re looking to purchase a time-share). Although you might find a good discount, these often entail sitting in on a 3-hour or more presentation. Talk about a vacation killer! Do buy tickets either directly from Disney, or from an authorized and reputable ticket broker. Do your due diligence and make sure the company is part of Orlando’s Better Business Bureau. If a company or website is a part of the BBB, then they’ll usually take credit for it and tell you right on their site, as well as link to their profile. OrlandoTastic partners with and recommends DW Tickets (DWTickets) . They have been around for over 10 years, they offer some of the better discounts online, they have a great reputation in the Orlando area, and they have an A rating with the Better Business Bureau. Do some planning, and purchase the right ticket for your vacation. Options that can be purchased with a ticket include Park Hopping (the ability to move from park to park within the same day), Water Park Fun & More (includes admissions to additional Disney parks, such as Typhoon Lagoon and DisneyQuest), or the simple base ticket (admission to 1 park per day, choosing amongst the main 4; Magic Kingdom, Epcot, Animal Kingdom, and Hollywood Studios). Do make sure you’re actually receiving a discount on your ticket package. Check out the pricing on the website you’re thinking of buying from, and then check Disney’s site (found here) to compare pricing. Do check for specials and promotions on Disney World tickets. DW Tickets generally offers free upgrades and such, and have a promotions page here. 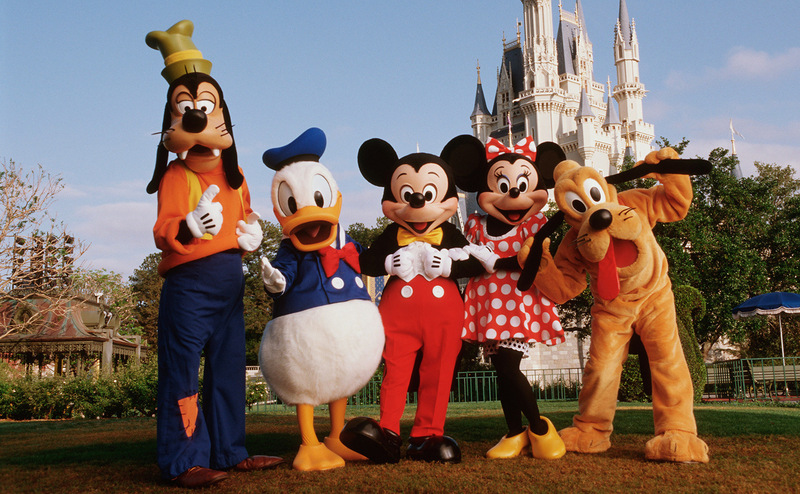 With the right planning, it’s possible to make a Disney World vacation more affordable. Following this advice will not only save some money, but will also help you put together a fun and exciting trip. Good luck!